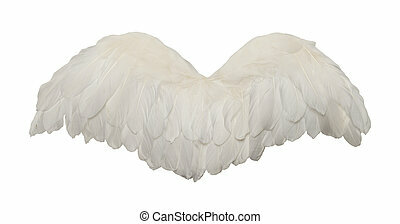 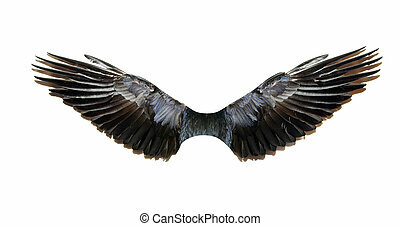 Bird wings isolated on a white. 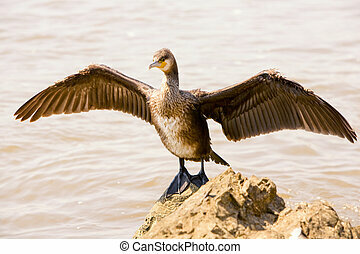 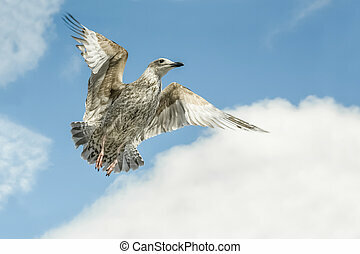 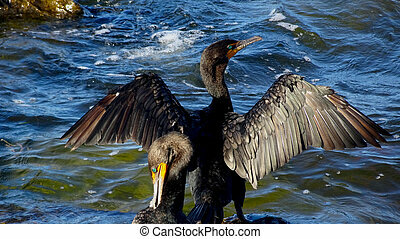 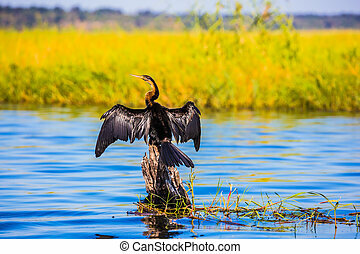 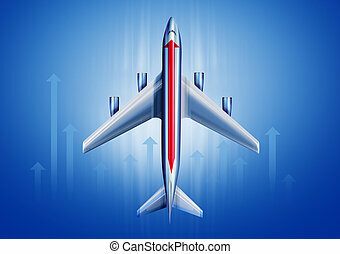 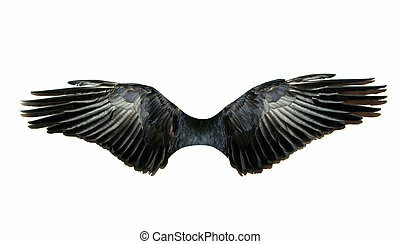 Bird wings is a detailed closed of a a beautiful bird speading its wings while in mid flight. 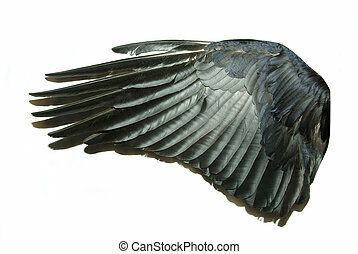 The bird was drying his wings. 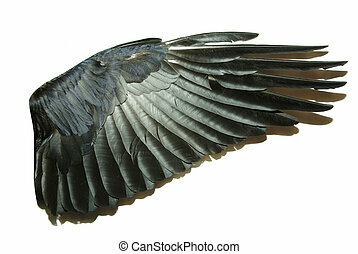 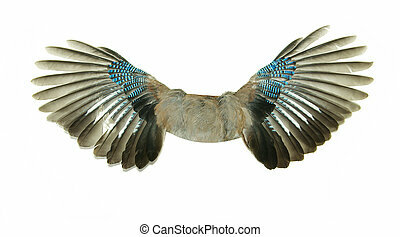 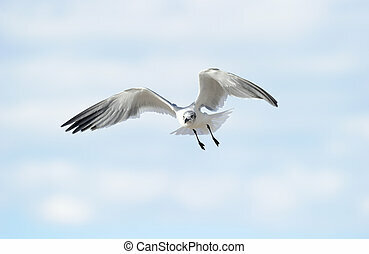 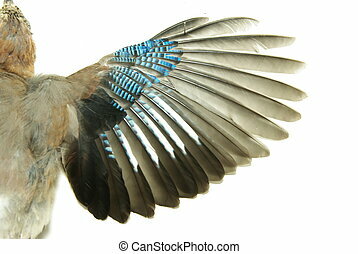 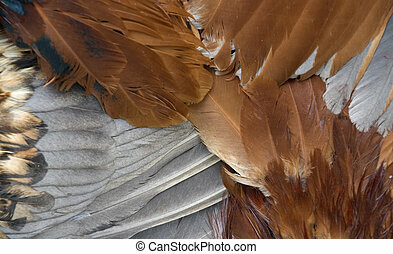 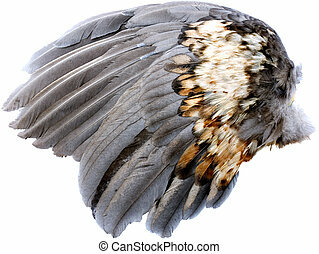 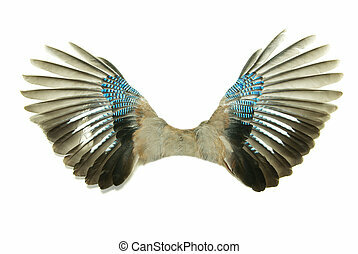 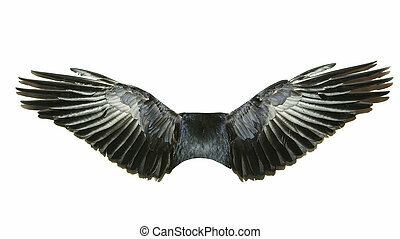 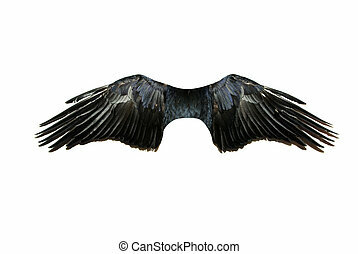 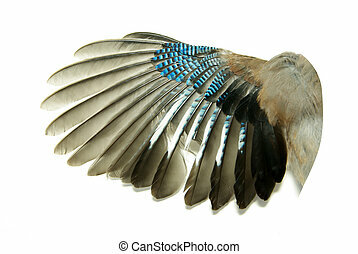 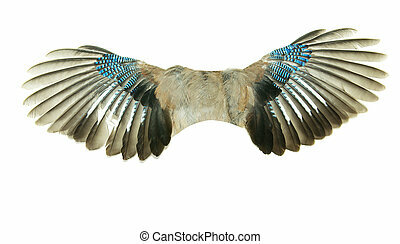 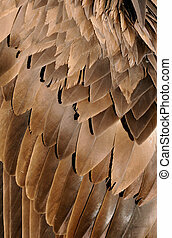 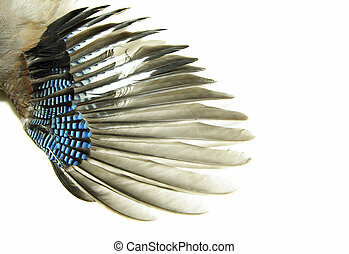 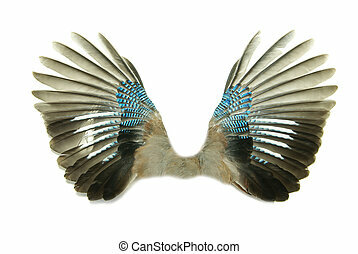 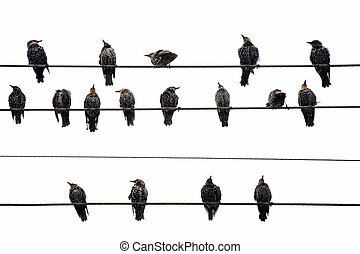 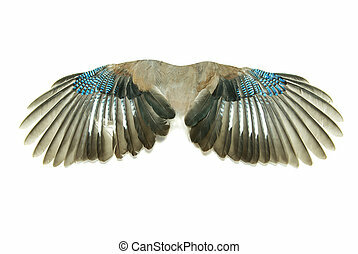 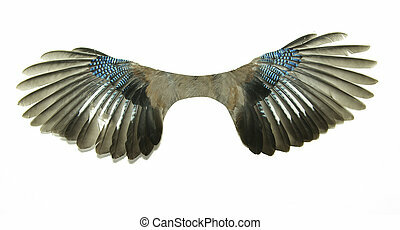 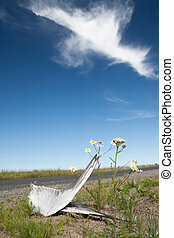 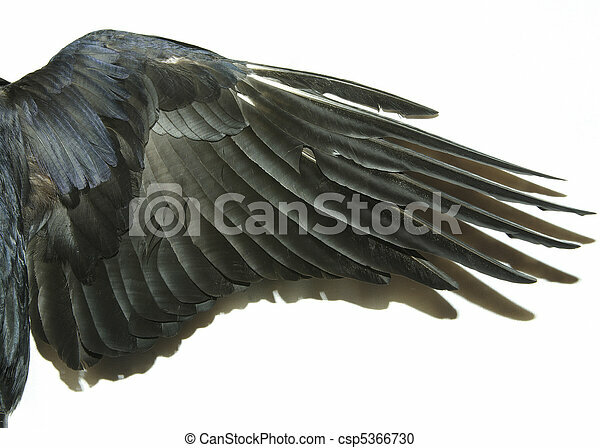 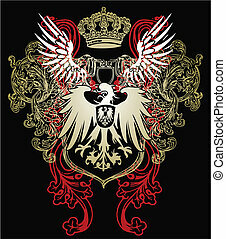 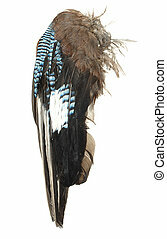 Fanned Out Bird Wings Isolated on White Background.